3) You can craft the corresponding tools, swords, armor and blocks from the different materials. 4) You can also craft tools, sword and armor made of emeralds and obsidian. 5) A mob called “Merchant”, which has a similar function as the “Bank”-block. He also drops coins and follows the player if the player hold a goldcoin in his hand! Do a right click on the “Merchant” to interact with him! If you do a right click on the “Merchant” with a ruby, he will change the ruby into a sapphire! If you do a right click on the “Merchant” with a sapphire, he will change the sapphire into an emerald! Look at the picture to see all of the trade recipes! “Merchants” only spawn in plains and forests! The “Merchant” follows the player if the player hold a goldcoin in his hand! Look at the picture to see the “Merchant” and his function! The skin of the “Merchant” maybe looks similar like a skin from someone else! 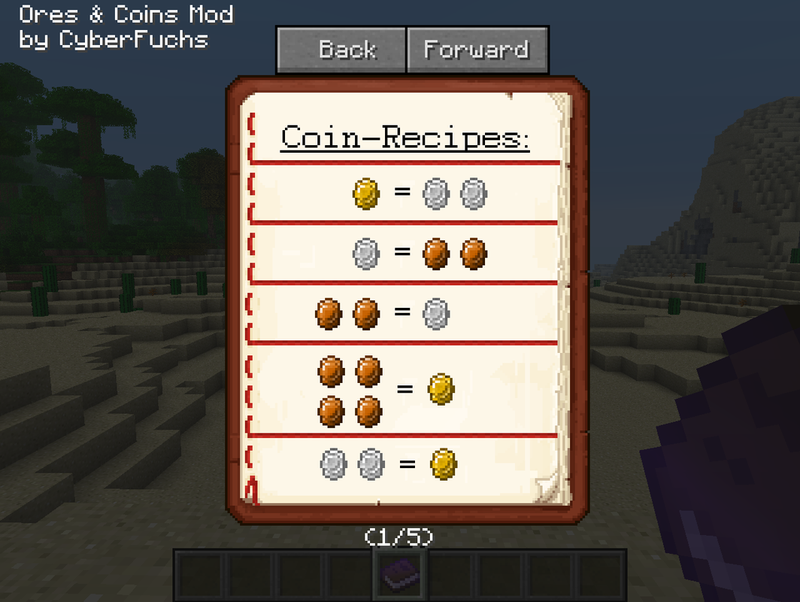 A book where you can see all Coin-Recipes in game! 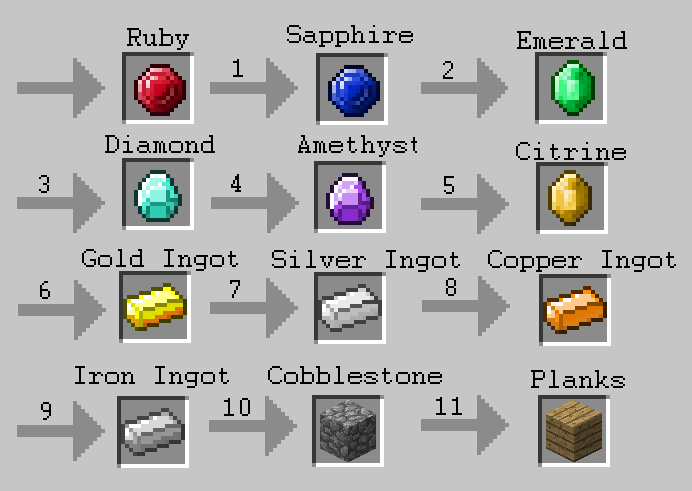 You can crush Iron- , Copper- , Silver- , Gold- and Electrum Ingots into dust! You can make new alloys with the dust! 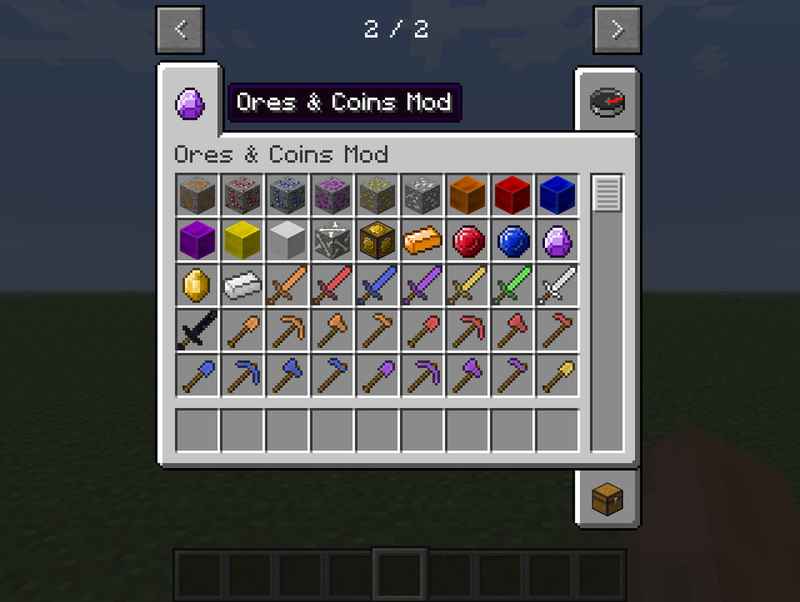 Put Ores and Coins Mod zip file into your /.minecraft/mods folder. Do not unzip it. Added a new Block called “Metal Crusher”, which allows you to grind metals to dust! 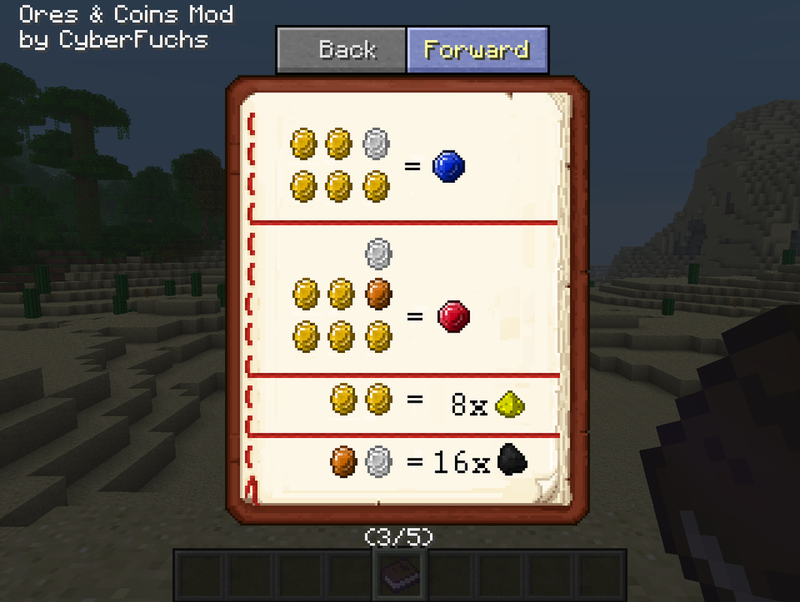 Added Copper- , Silver- , Gold- , Iron- and Electrum dust! Added Electrum ingot, block, tools, sword, armor and dust! Changed the texture of the Silver Block!